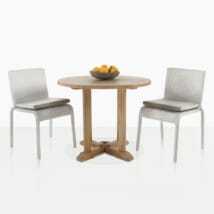 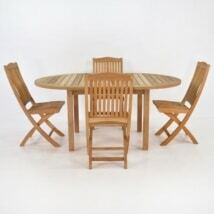 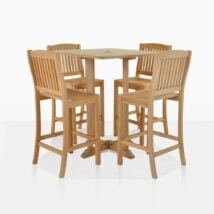 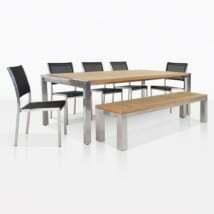 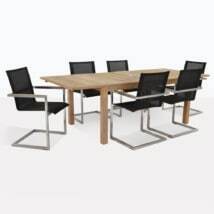 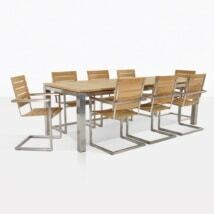 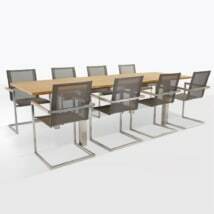 Choose one of our sets, or create your own using any dining chair or table. 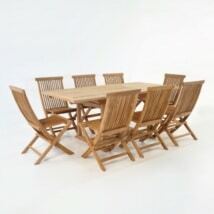 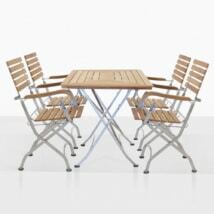 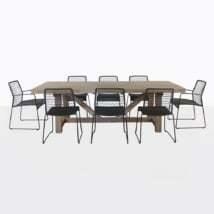 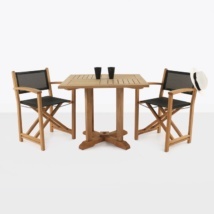 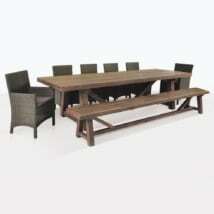 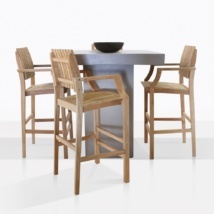 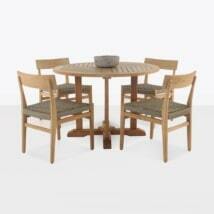 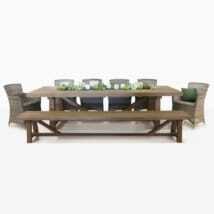 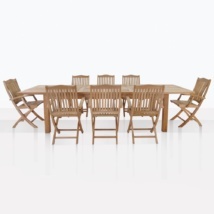 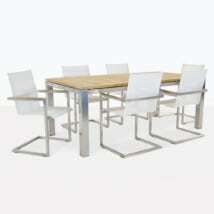 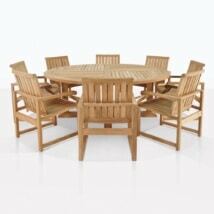 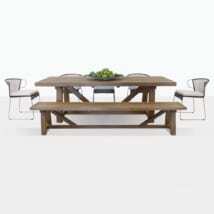 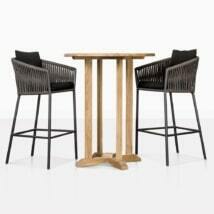 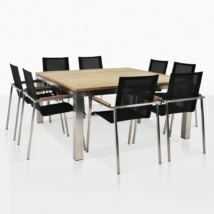 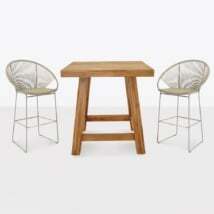 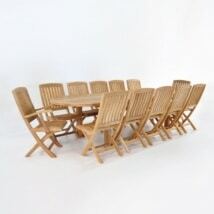 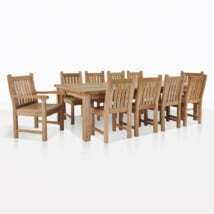 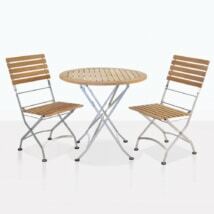 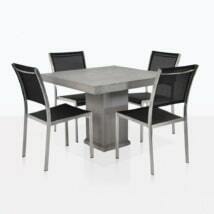 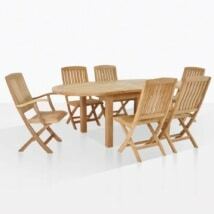 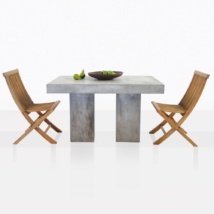 Choose one of our outdoor dining sets, or create your own dining set using any dining chair or table. 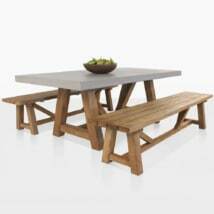 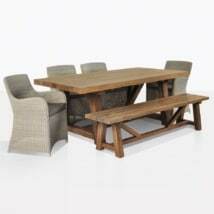 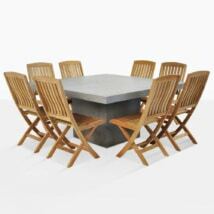 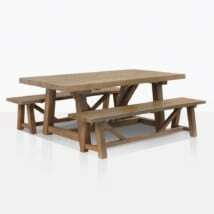 Teak Warehouse offers a robust portfolio of fully assembled Outdoor Dining Sets, with more combinations of dining furniture featured than any other single manufacturer in the USA. 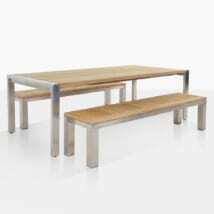 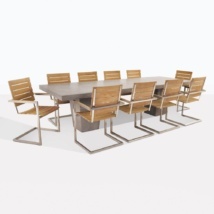 From A-Grade Teak to Lightweight Concrete to 316 Marine grade Stainless Steel and Reclaimed Teak, we have dining sets from modern, to classic to contemporary and beyond. 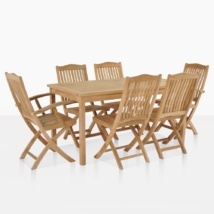 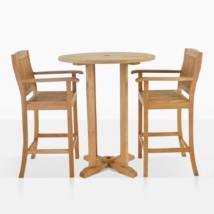 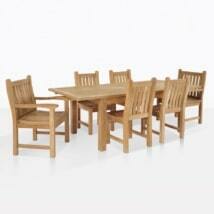 Our Dining Sets are purpose-built for outdoor dining and made to last a lifetime. 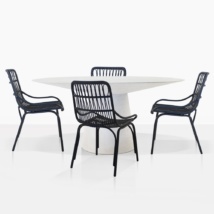 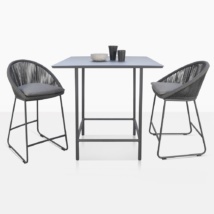 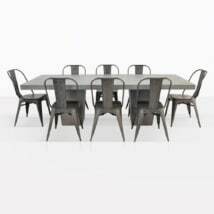 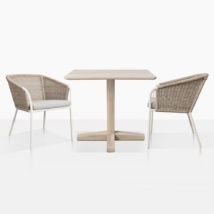 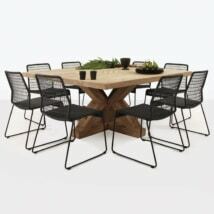 We want to create a special outdoor dining experience so we curate unique and beautiful dining furniture to offer a spectacular mix of dining chairs and outdoor dining tables suitable for any outdoor space. 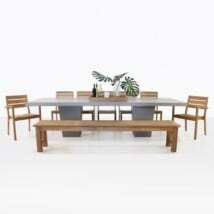 With a fashion forward approach to design, Teak Warehouse is at the forefront when it comes to the marriage of high-end materials to create a beautiful and unique style. 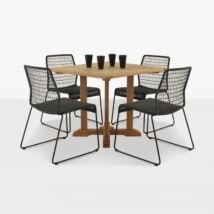 When browsing our vast range of dining sets you will see combinations like resin wicker paired with teak, 316 Marine Grade Stainless Steel married with Batyline mesh & A-Grade teak as well as reclaimed teak paired with raw concrete. 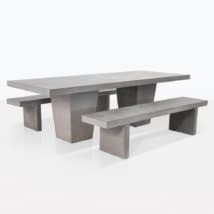 It’s a beautiful way to introduce other materials into you design scheme and create the outdoor living space you have always envisioned. 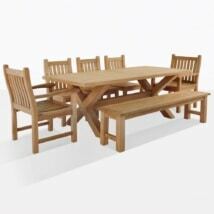 Another wonderful benefit to planning your space with Teak Warehouse is that the majority of our beautiful and original dining sets come in multiple sizes. 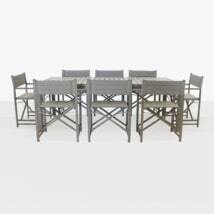 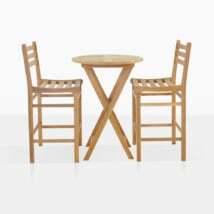 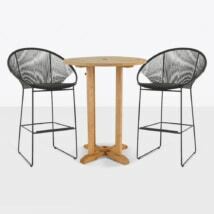 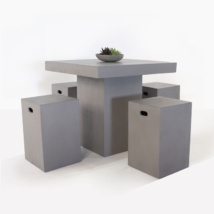 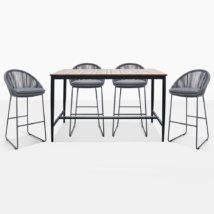 Whether you are planning a dining space for a small bistro set, family of 4 or entertaining over a dozen close friends, we have the styles and sizes to accommodate your needs no matter how small or large your dinner parties are. 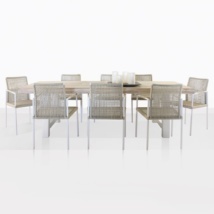 Visit our showrooms which are open 7 days a week from 10:00am – 6:00pm or call us TOLL FREE AT (800) 343-7707 and our experienced design staff can assist in creating the perfect al fresco dining set for your needs.